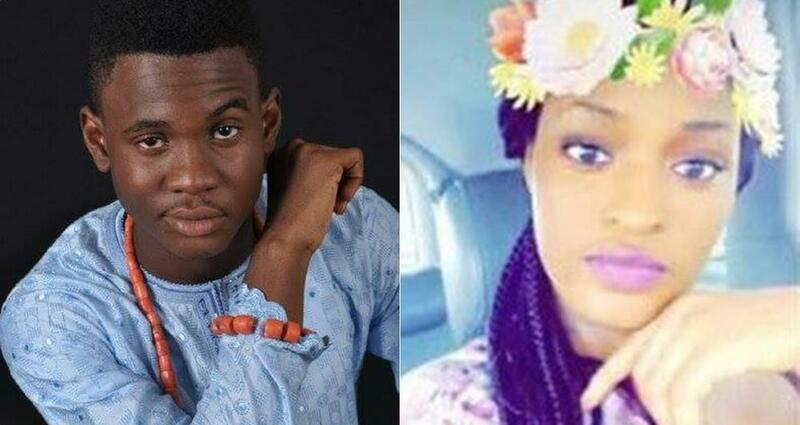 A 300 Level Student of Caleb University, Morrison Akinyemi has allegedly been beaten to death by his baby mama identified as Chidinma during a fight. The sad incident happened after the duo returned home from a party. After entering their room, the two began to quarrel leading to the man's death. 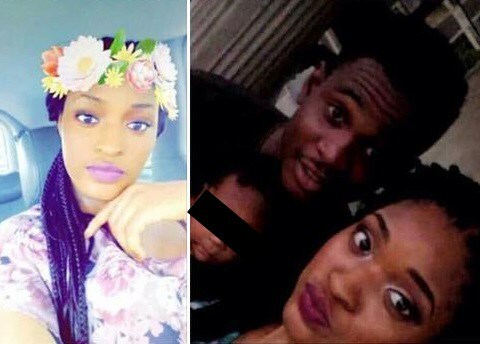 Here is how a neigbhour, Mia Seren, narrated the story according to Instablog9ja: “Like yesterday, he went for a part then came back around 9. But chidinma was not home, so he called her to ask her where she was. They sha planned to meet at one place.. When they came back, they were with a Mr Biggs nylon and they went to their room. Like 30 mins later, we heard them fighting in the room and somebody was hitting someone’s head on the wall.. Chidinma open the door, she did not open the door… Later we did not hear their voices. Like 30 mins later, she opened the door then joy’s mother and bro moor wife brother entered and saw Morrison on the floor. He was unconscious and he had an injury on his head, and had a cloth tied to his neck. We rushed him to the hospital then they said he was gone." 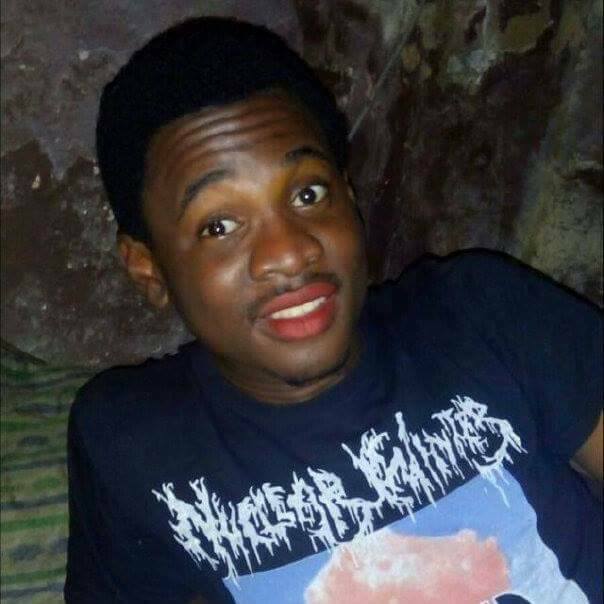 A friend to the deceased, Adewunmi Gabriel has left a touching tribute on Facebook, saying: "I want you to know that I think of you every day. I want you to know that I miss you more than anything, and I would give anything to talk to you one last time. I still remember the last time that I saw you on sunday sept 24th. You were leaving for a party and I begged you not to leave. Looking back now, I wish I would have spent more time with you, shared more stories with you, and made more memories. But death took you From us…you were our own diego costa the best fifa player in gbagada. Thank you for being a brother,a best friend and for being the most influential person I’ve ever met, for accepting and loving everyone, and for being someone that impacted the lives of so many. 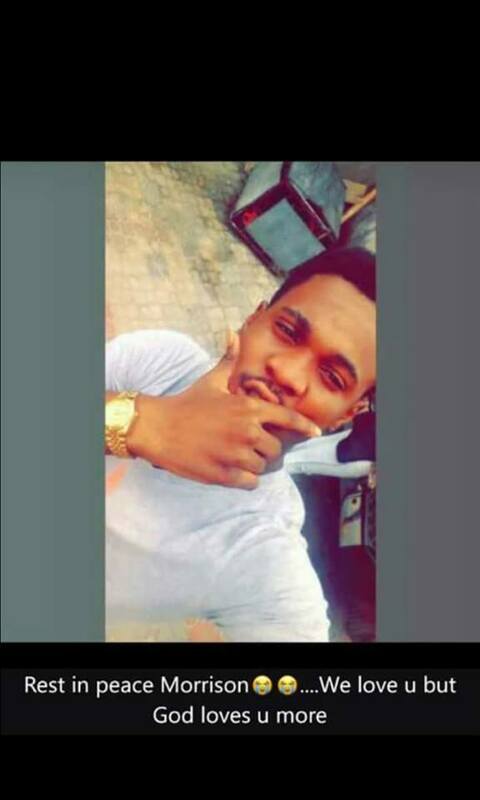 You will never be forgotten.I will always love you bro..Goodnight Morrison Akinbule.